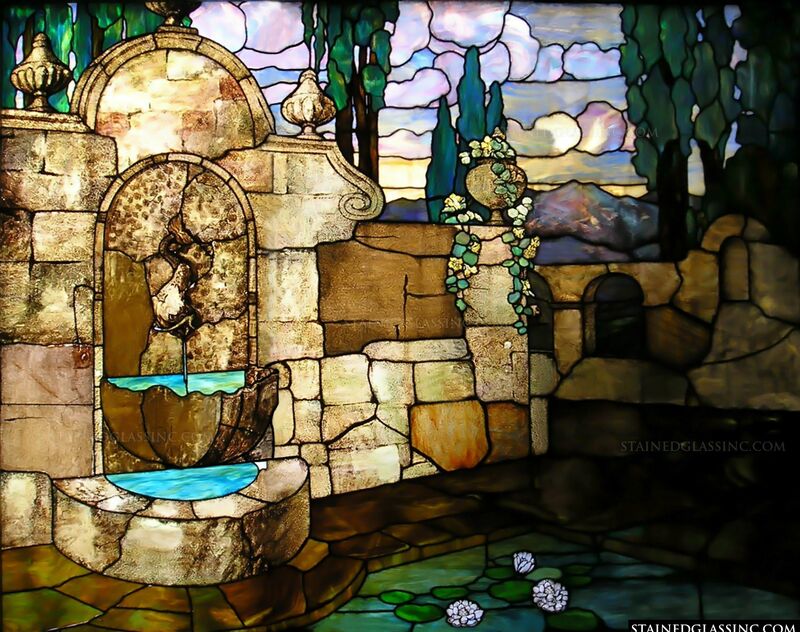 Tall trees stand behind a stone wall with a fountain on a stone patio. 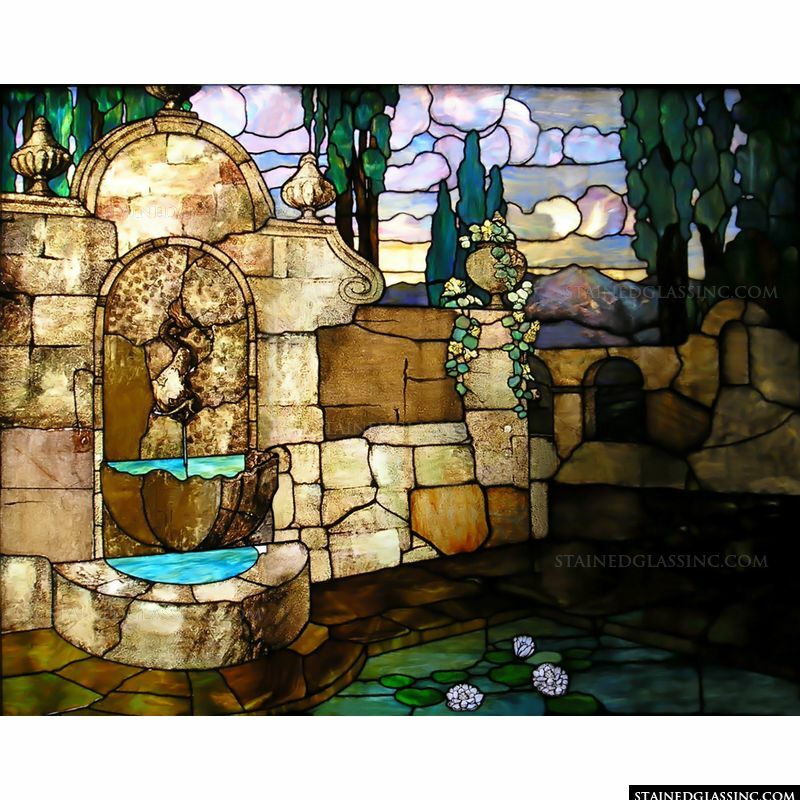 A pond containing water lilies sits at the foot of the wall and mountains loom in the background. 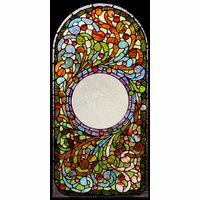 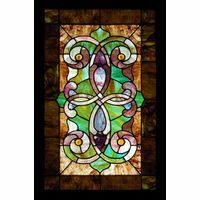 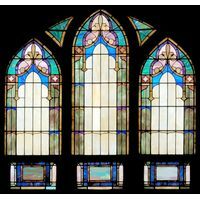 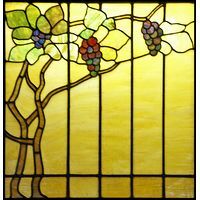 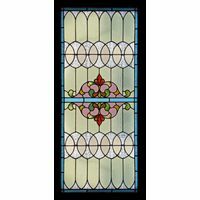 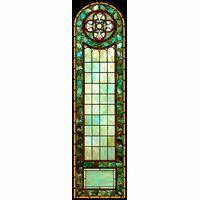 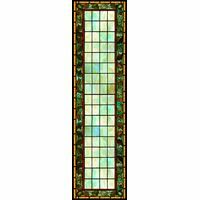 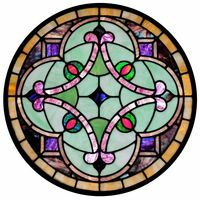 Display this antique style stained glass window panel in your home or office and bring style and class to any space.